On a warm summer evening, as I was taking some scraps out to the worm farm, a distinctive shimmer on the leaves of my fig tree caught my eye. Honeydew, a tell-tale sign of sap sucking insect attack. The culprit was scale insects, a variety that I know as pink wax scale. I wasn’t particularly worried about the effect of the scale on the fig tree because it had grown from a self-sown seed and I wasn’t expecting it to produce good fruit. It’s been growing in a pot for a year or two and I’ve been tempted to throw it out on several occasions because there is very little space in the courtyard. However, the wonderful contrast of its bold leaves to the fine leaves of the herbs growing around it persuaded me to keep it. Over the following days, I noticed ants going up into the tree and I knew that they would be helping to spread the scale so that they could harvest the honeydew. 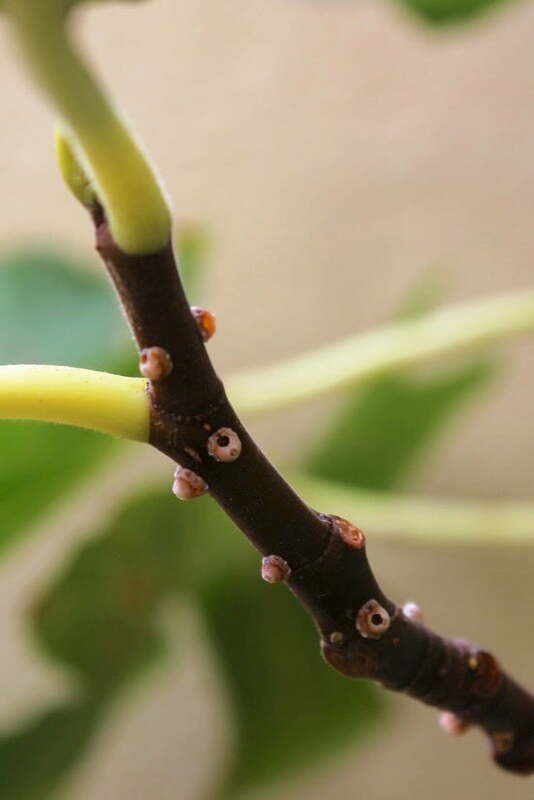 As the number and size of the scale insects grew I thought, “I really must spray those scales,” because I didn’t want them spreading to any other plants. I didn’t spray with white oil during the very hot weather in case the leaves burnt and to be truthful I am a rather lazy gardener so a few weeks passed and I still hadn’t sprayed. 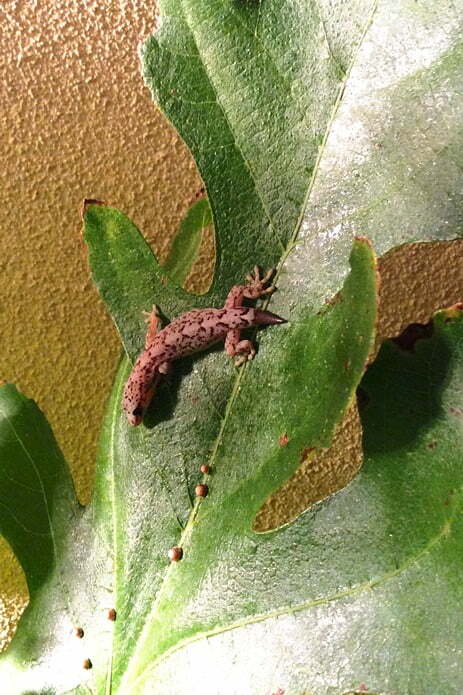 Then, on another late-night trip to feed the worms I was delighted to see two little geckos sitting on the fig leaves. Their presence meant that spraying with white oil was out of the question. I would just have to let nature take its course. I took to looking for the two little fellows most nights and for a few weeks they were usually there, sitting perfectly still in the glare of the light, hoping not to be noticed. I was surprised to see that they weren’t alone. Some nights there were up to half a dozen slugs and a couple of cockroaches enjoying the sweet honeydew. During the day, a few ants fossicked around and the occasional vinegar fly also visited. 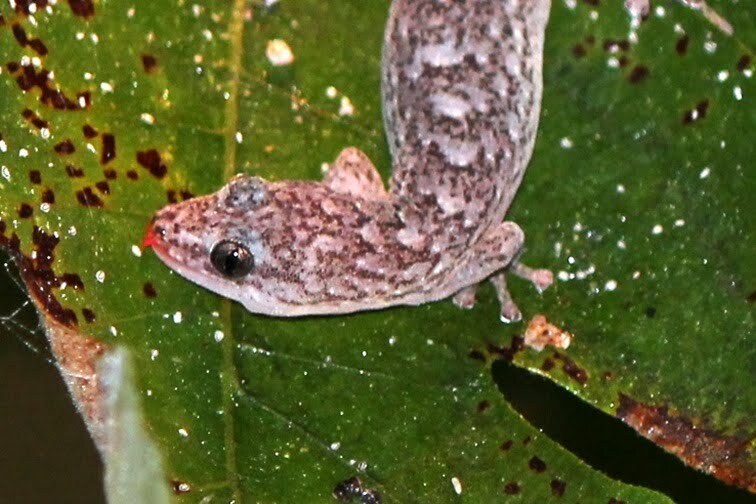 I didn’t sight the geckos for about a week but when they did return one poor fellow was minus his tail. About a month after I first noticed the scales I realised most of them had died. Many had holes in their waxy covering which I assume is where parasitoid wasps had emerged. 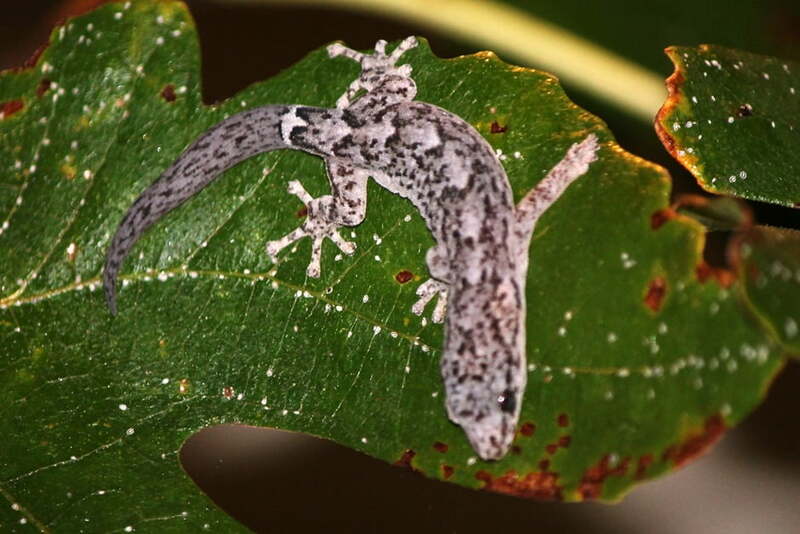 What I didn’t realise until I zoomed in on the images, was that the tiny white flecks over much of the leaf surfaces were thousands of baby scales, known as crawlers. If all of them were to reach maturity I don’t think the fig tree would stand a chance. Fortunately, at least one species of nocturnal visitors must be eating crawlers because very few do survive to become adults. 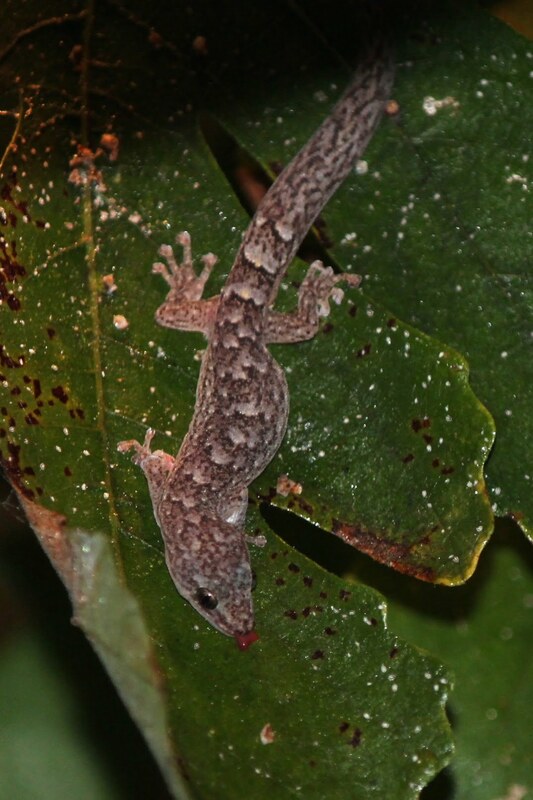 The geckos eventually got used to seeing me and carried on foraging, unperturbed by my presence. I could see their red tongues darting out and it looked as though they were eating the crawlers as well as the sweet honeydew. I can’t be certain but I believe the gecko that lost its tail has grown a new one only a month or so after losing it. The once handsome leaves of the fig tree are now blemished and pock marked but they will be falling off soon, as the days of Autumn get cooler. Fortunately, new leaves start appearing even before the last leaves have fallen so it shouldn’t be long before the tree is looking lush and green again. Although the courtyard where the fig is growing is north facing and therefore relatively warm I think that the temperature at night during winter will be too cold for the geckos and they will probably hibernate. It will be interested to see if they are still around next summer. I only wish that slugs would hibernate in winter too. My fig tree is enormous and I wondered when to and how to trim this . Lovely to hear your story about geckos. I have up to four geckos that come out at night and sit on the fly screen door of the French doors to the living room. 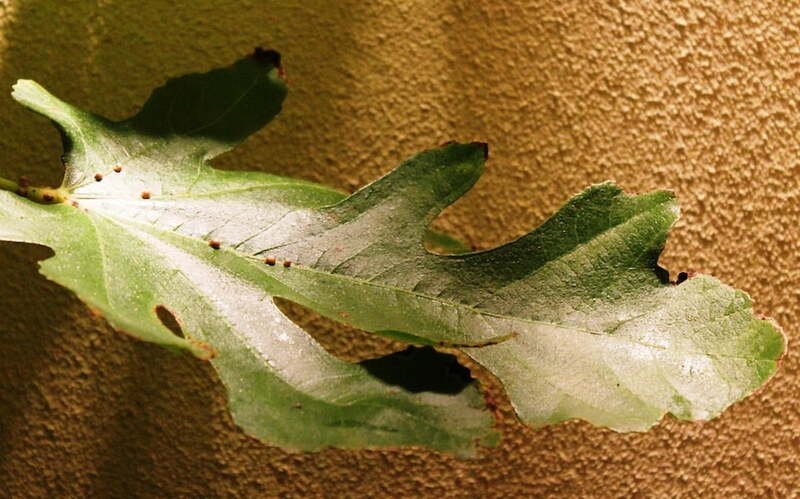 At night, the lights are on inside which bring insects to the screen door where the geckos pick them off. In Balingup, WA, I suspect the geckos will hibernate quite soon as the nights are heading down toward freezing temperatures, even on the veranda. I haven’t seen the geckos since the story was published. Hopefully they are just hibernating. I hope your geckos find a warm spot to overwinter. 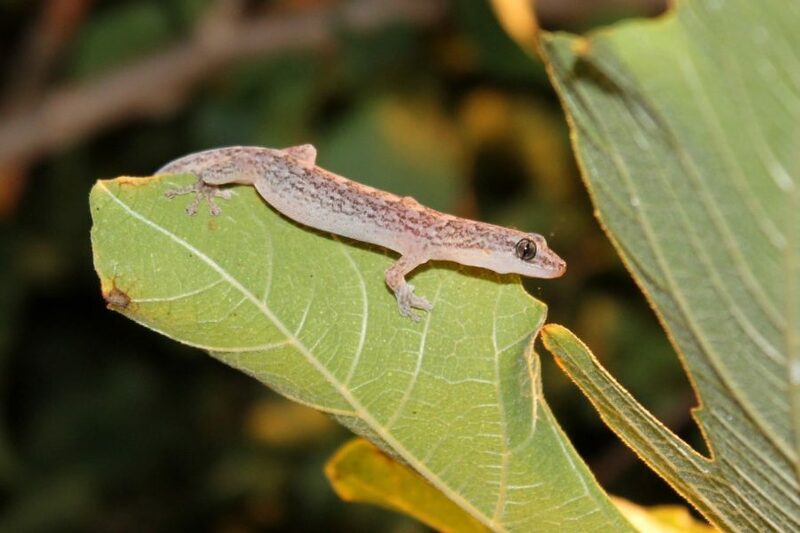 I don’t remember seeing geckos when i was growing up although little skinks were common. 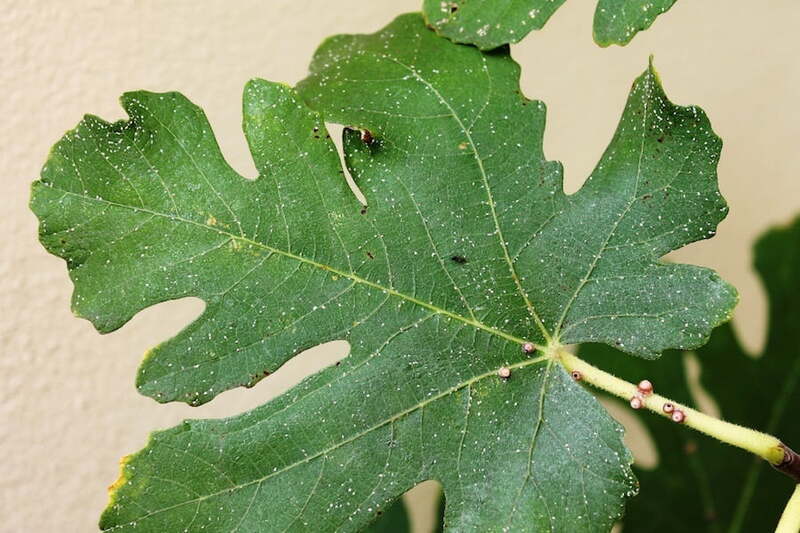 Fig trees are very hardy and can be pruned by about 50% without a problem. Probably best to prune them towards the end of their dormant period, late winter.